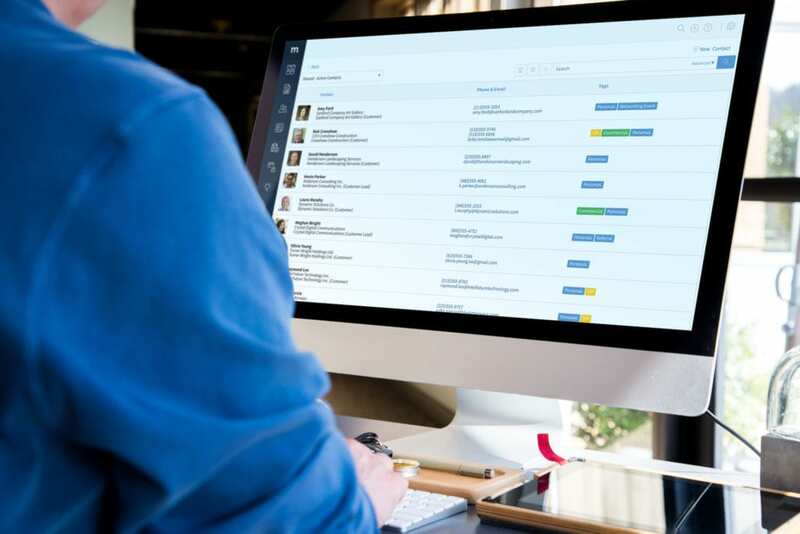 When your company implements new CRM software, learning how to use it can be overwhelming. After all, many CRMs are designed to support a range of business functions, including sales, marketing, customer service, and more. How on earth do you identify the features that are most relevant to your role? As a sales representative, your top priorities are closing sales and maintaining strong relationships with your leads and customers. To maximize your productivity, focus on the CRM features that enable you to meet these goals. Anything that helps you track potential deals, stay in touch with contacts, or organize your daily tasks is a winner. For sales reps using Method:CRM, consider this your cheat sheet for identifying the most valuable features. By looking at these five things every morning, you’ll set yourself up to work efficiently and satisfy your customers. Most sales reps have a never-ending to-do list of emails to send, phone calls to return, and documents to prepare. However, if these tasks are spread across multiple scheduling tools (or your mind), it’s easy for things to slip through the cracks. That’s where the Activity List comes in. In Method:CRM, an activity is a record of a past or future interaction between you and another individual or organization. Activities can be categorized by type (such as a phone call, email, or meeting) and you can include notes about what was discussed. You should always create an activity after an interaction is complete, but activities can also be scheduled as future tasks. When you log into Method each day, start by checking the Activity List to view your list of to-do’s due on or before the current date. These could be activities that you created for yourself or activities that your colleagues created and assigned to you. By checking this list each morning, you’ll have a clear picture of what you need to accomplish during the day. From your Method dashboard, click the Activities App. In life and in sales, regular communication leads to stronger relationships. Whether you’re trying to nurture a new lead or re-engage an existing customer, it’s important to keep the conversation alive. But when you have multiple conversations ongoing, it’s hard to remember when you last talked to each person. Enter the Contact List. While the Activity List displays your scheduled interactions, the Contact List can help you identify who you still need to reach out to. Use the “Last Activity” and “Next Activity” columns to sort your contacts by the date of their last completed activity or next scheduled activity, respectively. If you spot someone you haven’t spoken to in months, don’t be shy — schedule a reminder to send them a message! From your Method dashboard, click the Contacts App. Click the column header for “Last Activity” or “Next Activity” to sort the contacts by ascending or descending activity date. Having plenty of potential sales in the pipeline is a salesperson’s dream. But when you only have so many hours in the day, it’s essential to prioritize which opportunities to focus on. Ideally, you want to devote your time to those opportunities that are closest to closing or have the highest value — or both. In Method:CRM, an opportunity is used to track the details of a potential sale as it moves through the sales pipeline. These details include the expected revenue, the anticipated closing date, and the current pipeline stage. Opportunities can be created for new leads or existing customers, giving you a complete picture of your potential business. Get into the habit of checking the Opportunity Reports in Method each morning. These graphs make it easy to visualize how many deals you’re working on, what they’re worth, and how close you are to making the sale. This, in turn, helps you decide where to focus your attention that day. On the Opportunity Reports screen, select “Pipeline” for the type of chart and your own name for the user, then select your desired date range. View the total value of the opportunities in your pipeline, as well as a breakdown of your opportunities by stage. 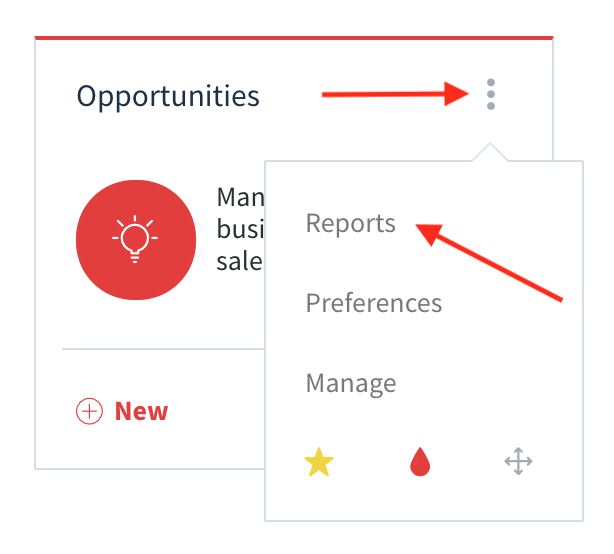 Hovering over each stage will show the total value of the opportunities in that stage, and clicking on the bar will bring up a list of the relevant opportunities. After sending a quote, you may be tempted to sit back and wait for the sale. However, shifting all responsibility to your prospects is risky — people are busy, they miss emails, or they may have concerns that are holding them back from buying. To maximize the likelihood of a quote becoming a sale, proactively following up is key. Checking your Estimate Reports is a quick way to assess which quotes (or estimates, as they’re called in Method:CRM) are still outstanding. This is based on the fact that an estimate in Method can be labeled as active or inactive. Depending on your company’s procedures, an inactive estimate may represent a job that has been canceled, invoiced, or paid in full. In any case, viewing your list of active estimates can help you assess which ones may require follow-up. On the Estimate Reports screen, select “Active” for the status and your own name for the sales rep, then select your desired date range. View the total value of your estimates by customer, as well as the number of estimates per customer. 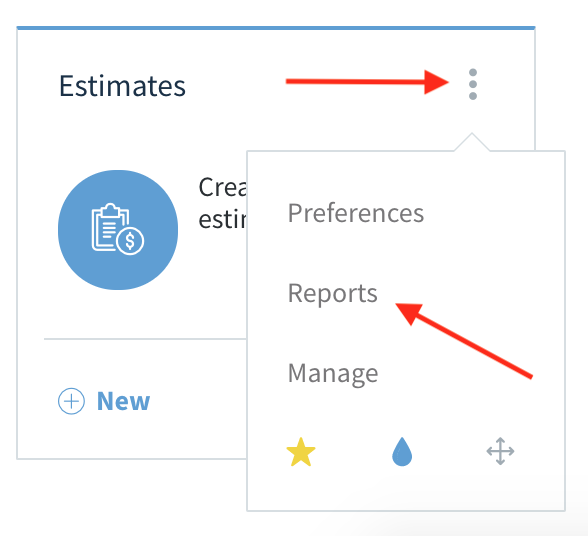 Clicking on each bar will bring up a list of the relevant estimates. Okay, these features aren’t technically in your Method account — you’ll have to check your email to access them. But they’re still a valuable addition to this list! Email is a big part of any sales jobs — in fact, salespeople spend 21% of their day writing emails. Now imagine you had to switch back to your CRM after sending each message to ensure the details were logged. This could easily double the time devoted to emails, leaving you little time to actually call or meet with customers. 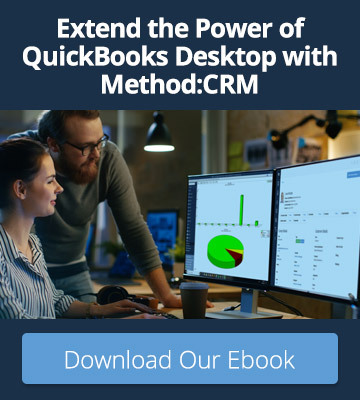 Luckily, Method offers add-ins that bring your CRM inside Gmail or Outlook. 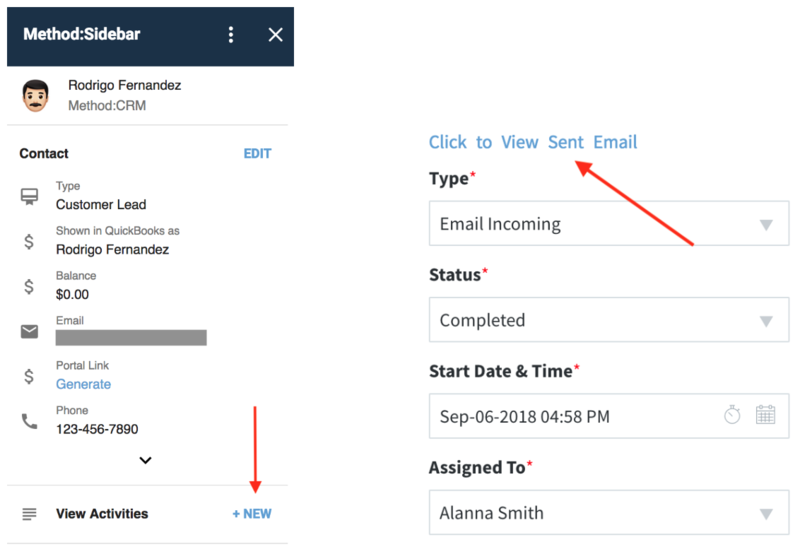 Simply open an email and the add-in will display an overview of the sender, including their contact information, CRM activities, and QuickBooks transactions. You can also save the email correspondence as a new activity directly from the add-in — no need to copy and paste text or switch between programs. By making the email portion of your day more efficient, you’ll have more time to focus on closing sales. Install the Method:Sidebar for Gmail (shown below) or the Method Outlook Add-In. Open an email in your inbox. In Method: View the activity, then click the link to view the text of the saved email(s). Truth be told, there’s always a learning curve when adopting new software. However, the curve doesn’t have to feel so steep! Instead, focus on learning the features that are most relevant to your role. This will help you incorporate the new software into your daily routine faster — so you start seeing the impact on your sales results sooner. Ready to get started with better sales management? 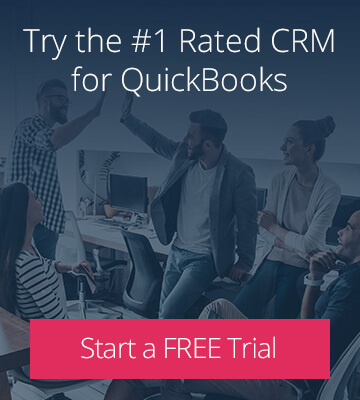 Sign up for a free 30-day trial of Method:CRM, the #1 CRM for QuickBooks on apps.com.